This weekend we celebrated the 5th birthday of our dog Hazel. 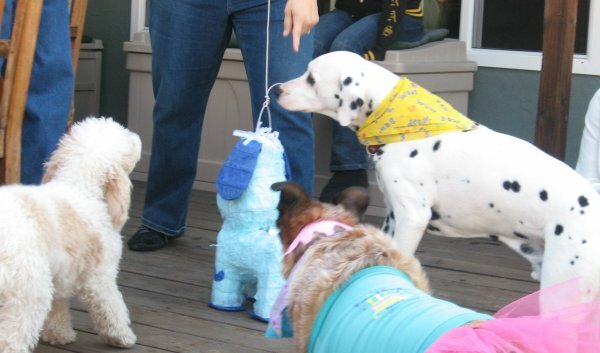 We had a few friends over for cake for the two legged people, as well as cakes for the dogs, dog games, and a dog piñata. 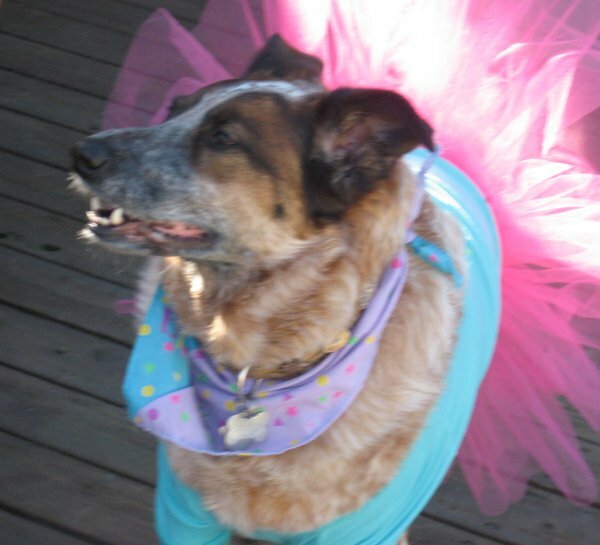 My wife gets some sort of perverse pleasure out of dressing our pets. Hazel didn't seem to mind the t-shirt, rubber tiara, and tu tu. She actually seemed to like it. All the dogs slept very well last night! We used the Three Dog Bakery in Pleasanton, which was able to make us some wonderful Peanut Butter, Carob and Carrot flavored dog cakes.